A teenage guy who was preparing for his board exams comes across one question in his social studies class which has changed the lives of many people. Well you must be wondering what could that life changing question be! Read on to unwrap the mystery. Ezekiel Baskar, a seventeen year old who launched the state level ‘Farmers Empowerment Campaign’ on 6th April 2016 shares with us the evolution of this wonderful project. There was a question raised in his classroom regarding the reasons behind the farmer’s suicides in India which triggered Ezekiel. ‘Agriculture is the backbone of India and farmers play a vital role in our survival. So deaths of farmers would only mean vanquishing of the human existence on earth.’ This was the first thought in his mind which made him research a lot more on this subject. The figures of 3288 suicides in 2015 due to numerous reasons like tensions, unorganised credit and loan pressure shocked him. He further interacted with the farmers to reach to the bounds of reality and realized that they do not need sympathy but are in need of love. 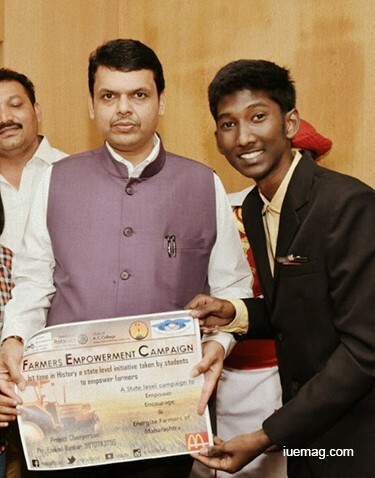 The three words that came into his mind – Empower, Encourage and Energize them formed a basis for his Farmers Campaign that was launched by the Chief Minister of Maharashtra-Shri Devendra Fadnavis. Ezekiel is an evangelist who is inspired from the life of Christ. Born in a family that has devoted its life to social work, it is obvious that he is guided by the holy principles from Bible that today are responsible for his steps towards framing a better nation. 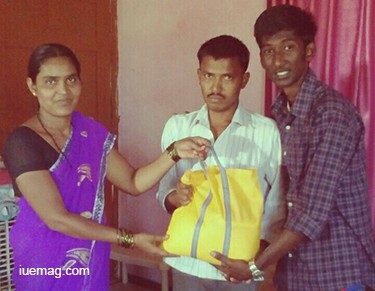 His dad, also a priest, runs a trust named Faith Miracle Educational & Charitable Trust through which they help the slum people, honour student achievers and also provide medical help to the needy. 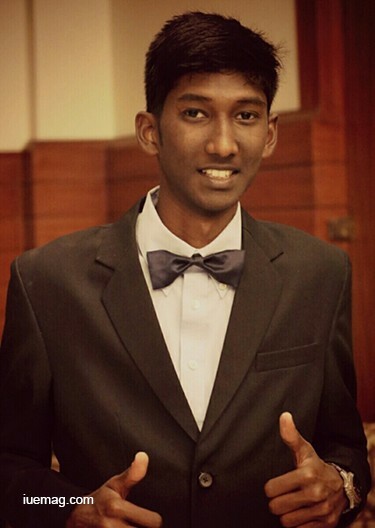 Being a member of Rotaract club of his college, he gathered a set of likeminded people who admired his ideas and were enthusiastic to carry out the activities along with him. He proudly smiles that slowly he started getting messages from students of other colleges who were keen to be a part of it. Ezekiel was awarded as the best Rotaractor in the whole Rotaract International District and his project "Farmers Empowerment Campaign" won the "ACER" Award for the Best project of the year. Talking about the most crucial and tough phase of raising funds for their activities, Ezekiel recollects telling himself, ‘where there is a will there is a HIGHWAY’. It involved a tedious journey of travelling to various places; getting the donation forms printed and distributed; organising rallies with the support of few eminent personalities. He believes that in today's technological world, short films, street plays and rallies have a huge impact on people. He takes a trip down the memory lane to show us those stony patches of his journey when almost 150 letters that he sent requesting for funds were ignored. But in the end with the determination to make it a success and relentless hard work, they could raise around two and half lakh rupees for their first campaign. Ezekiel asserts that involvement in these activities has transformed him as a person. He is socially aware of many things like people’s struggles, their pain and tiny smiles. He mentions about his trip to Lathore where he met many people and learnt that God has blessed us with many things and we should be a blessing to others. 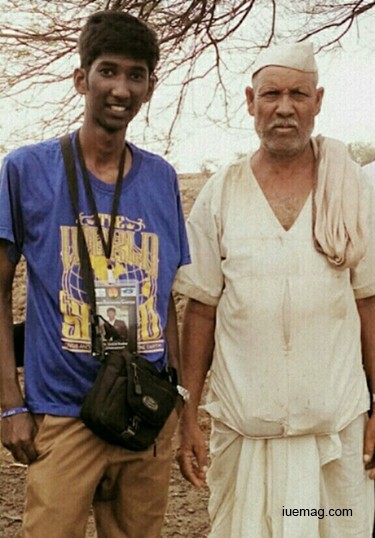 He shares with us one incident that touched him during his stay there – a farmer who walked to him and started expressing her woes regarding the drought in their region. Their miserable situation filled his eyes with tears but all he could do was encourage them to keep working hard and have faith that the following year would bring rains to wipe out the gloom from their lives. When he returned to Mumbai, he received a call from them saying that it was raining so heavily in Lathore that the dams are filled after four long years. They also sent him a video showing the overflowing dams and it clearly depicted the unseen joy of the villagers. “Whatever work you undertake, whether it is social work, academics or talent that you possess, it is necessary for you to be humble. Humility is what lifts a person up. And I believe in thanking God for everything that happens. Work and prayer goes together”, says this young visionary.